This week is championship week for most of us lucky ones, so we focus on the fantasy football playoff matchups. 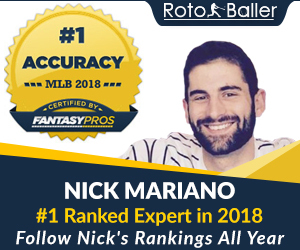 RotoBaller Radio breaks down the full slate of games for the NFL Divisional Playoff Round of NFL action, and helps you pick out the top players for the week from every NFL team. 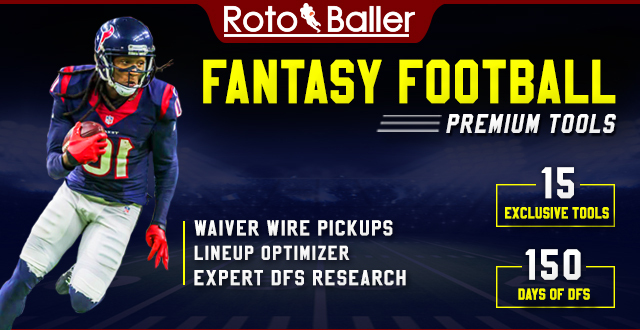 We unearth all of the DFS matchup sleepers that you need to know about, identify the undervalued picks and give you detailed analysis about which players you should be using in all of your leagues heading into the fantasy football playoffs. For the NFL Divisional Playoffs Round , we went deep to analyze the value of players like Ben Roethlisberger, Russell Wilson, Aaron Rodgers, Alex Smith, Tom Brady, Cam Newton, Peyton Manning, Carson Palmer, David Johnson, Jonathan Stewart, James White, Cameron Artis-Payne, Ronnie Hillman, C.J. Anderson, Marshawn Lynch, Charcandrick West, Eddie Lacy, Christine Michael, Spencer Ware, Fitzgerald Toussaint, James Starks, Demaryius Thomas, Emmanuel Sanders, Julian Edelman, Larry Fitzgerald, Danny Amendola, John Brown, Tedd Ginn Jr., Michael Floyd, Antonio Brown, Doug Baldwin, Jeremy Maclin, Randall Cobb, Martavis Bryant, Tyler Lockett, James Jones, Markus Wheaton, Albert Wilson, Davante Adams, Jermaine Kearse, Rob Gronkowski, Greg Olsen, Vernon Davis, Travis Kelce, Richard Rodgers, Heath Miller, Seahawks, Chiefs, Packers, Steelers, Patriots, Broncos and the Panthers. Good luck in this week's fantasy football endeavors and be sure you're using our Premium NFL Pass to help you get the edge you need over the competition! 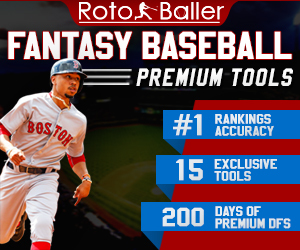 Let's bring home a title RotoBallers!